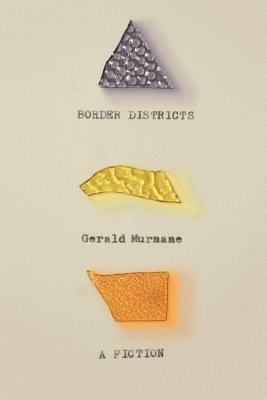 Border Districts, purportedly the Australian master Gerald Murnane’s final work of fiction, is a hypnotic, precise, and self-lacerating “report” on a life led as an avid reader, fumbling lover, “student of mental imagery,” and devout believer—but a believer not in the commonplaces of religion, but rather in the luminescence of memory and its handmaiden, literature. In Border Districts, a man moves from a capital city to a remote town in the border country, where he intends to spend the last years of his life. It is time, he thinks, to review the spoils of a lifetime of seeing, a lifetime of reading. Which sights, which people, which books, fictional characters, turns of phrase, and lines of verse will survive into the twilight? A dark-haired woman with a wistful expression? An ancestral house in the grasslands? The colors in translucent panes of glass, in marbles and goldfish and racing silks? Feeling an increasing urgency to put his mental landscape in order, the man sets to work cataloging this treasure, little knowing where his “report” will lead and what secrets will be brought to light. Border Districts is a jewel of a farewell from one of the greatest living writers of English prose. Gerald Murnane was born in Melbourne in 1939. One of Australia’s most highly regarded authors, he has published several volumes of fiction, including Border Districts, Stream System, and Barley Patch, as well a collection of essays, Invisible Yet Enduring Lilacs, and a memoir, Something for the Pain. He is a recipient of the Patrick White Literary Award, the Melbourne Prize for Literature, and an Emeritus Fellowship from the Literature Board of the Australia Council. He lives in a small town in Western Victoria, near the border with South Australia.